If you like bright and fun bag tag then you should check out this Red With Polka Dots Luggage Tag. 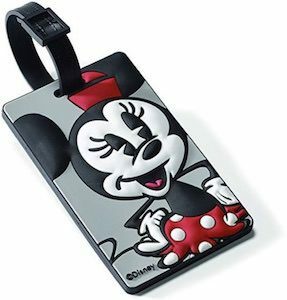 The luggage tag comes in a version with both on the front and back the same red with white polka dots design or in a version with a ID card slot so that people will know where you are if your suitcase gets lost. And as the luggage tag is fun and bright it also helps you finding you bag on the luggage belt at the airport or in a stack of bags. If you travel with a lot of luggage then how to you keep track that you have all your bags? 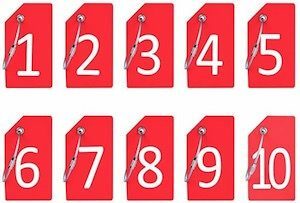 Now that is easy thanks to this set of numbered luggage tags. 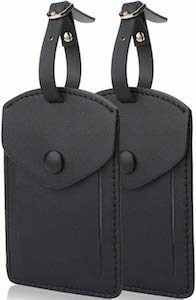 Thet set is available in 5 or 10 luggage tags in red or black. The luggage tags all have a number on it and that makes it perfect at keeping track of your luggage. 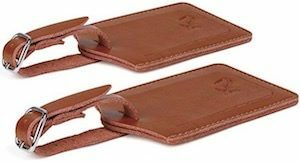 The luggage tag are made to last, they are made from silicone with a stainless steel wire to connect to your bag. As they are so strong they are great for work to so that you can keep track of all the items your need for your job. And inside the tag you can find an information card not exposing it to the world unless you detach it from your bag.